Centralizing the application logs in one of the key activities in online application which gives a lot of benefits to both technical and business users. Splunk is the market leader in providing logging solutions and they recently introduced cloud based logging solution. Within few minutes you can convert you plaintext access logs into a lot more meaningful technical & business metrics. 3) Download the universal forwarder credentials (splunkclouduf.spl) to the /opt directory of the machine that will send data to Splunk Cloud. More details on splunk cloud documentation can be found here. 6) Add data to Splunk Cloud using the command line interface (CLI). 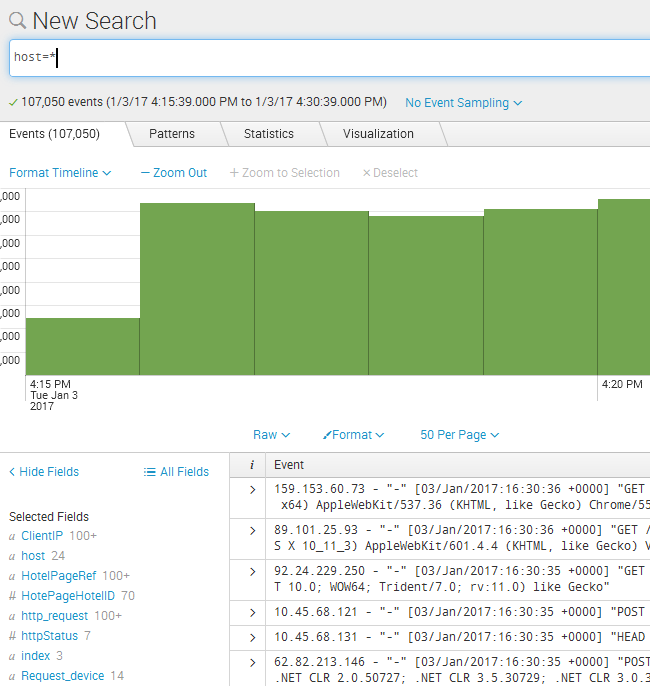 Make sure web server is allowed to send the logs to splunk cloud servers on port 9997 and you can visualize the logs in many ways. Creating business metrics to see order confirmation. This site hosted in amazon, a micro EC2 instance running this site and costing me around $10 per month.